With Autumn and Winter just around the corner I've slowly found myself starting to ditch the glossy and sheer lip products in favour of a more bold and matte lip colour. Matte lips will always be my favourite kind of formula, they last the longest, their pigment is usually better and overall I find I just suit how they look on me. 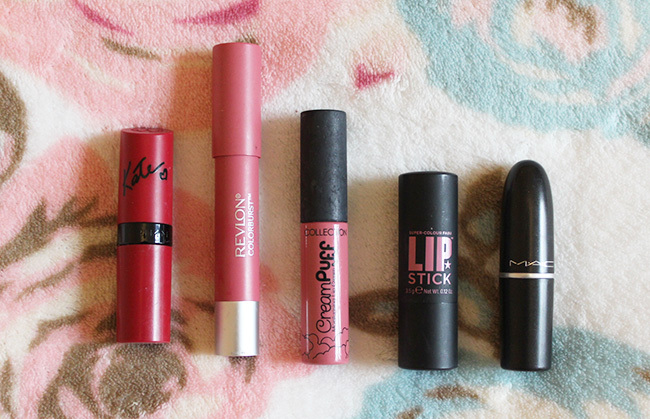 I've picked five lipsticks all from different brands to compare them and see how they differ against each other. Rimmel Kate Moss - This is the first matte lipstick that I tried and the one that got me hooked on others. This particular colour is a baby blue toned pink and a lipstick which goes with any look. It's my go to lipstick for days when I'm not sure what to wear, making it one of my most used and favourite lipsticks of all time. Overall it's a really moisturising and easy formula to wear, 107 from this range is also great! Revlon Matte Balm - There was so much hype around these when they were first released, but this is still the only one I've tried from the brand. It's a slightly deeper mauvey pink, making it slightly hard to wear on very pale skin. I find it can sometimes look a bit one dimensional on the lips, but it is still a great one for day to day use and the formula is super moisturising. Collection Cream Puff - This is the cheapest of the bunch, so a great one if you want to try matte lips but don't want to spend a lot of money. The formula is really moisturising and easy to wear, the only problem from the two that I've tried is they can be slightly streaky when first applied. 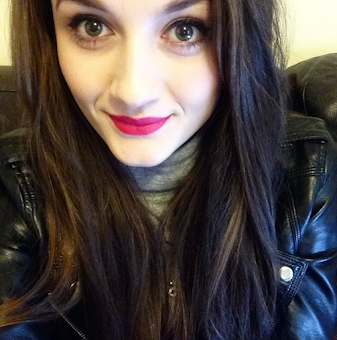 Soap and Glory - This is the latest matte lip in my collection, but I'm already loving it! The packaging and emboss on the lipstick makes it feel like a more high end lipstick, and the lipstick glides on the lips. This is a great one for those wanting to try deep reds or purples but not wanting to go in head first, it's a slightly deep berry and a great pick for this season. MAC - The most expensive of the bunch and easily the most drying, but along with that it's the most long lasting. This lipstick literally doesn't budge so is a great one for a night out or when you're going out to eat. It looks amazing with just some eyeliner and a contour and makes your teeth look so white because of how deep and blue toned it is. The formula really is drying though so it's best to apply lip balm underneath, but the dry formula is worth sacrificing for the longevity of this one. 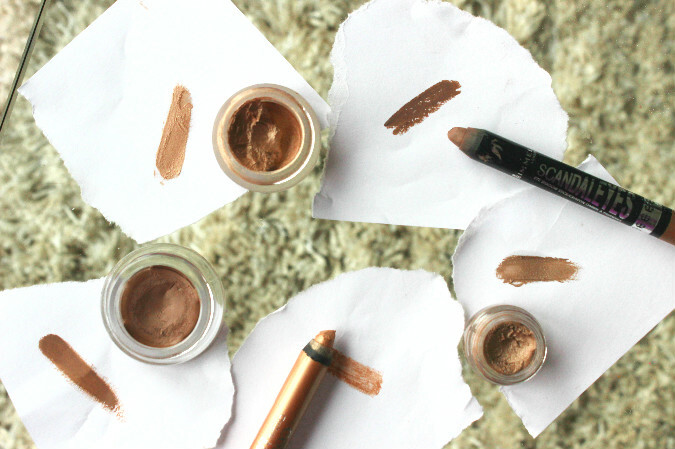 Overall my favourite has to be Rimmel Kate Moss in 101, at £5.49 it's really affordable and is my favourite formulation and colour out of them all. The lasting power of 101 may only be a few hours but their darker shade 107 is even longer. 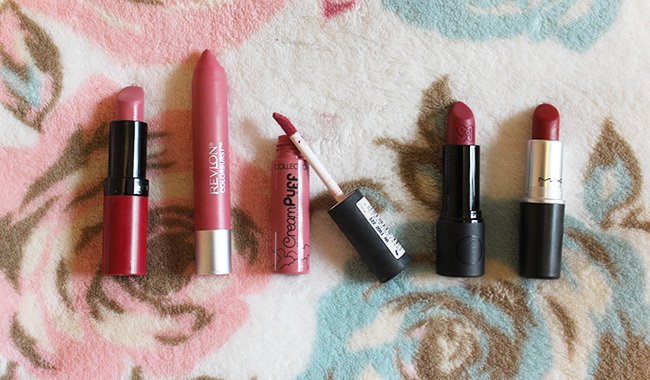 If you're after a matte lipstick to try they're defiantly the one's to go for! 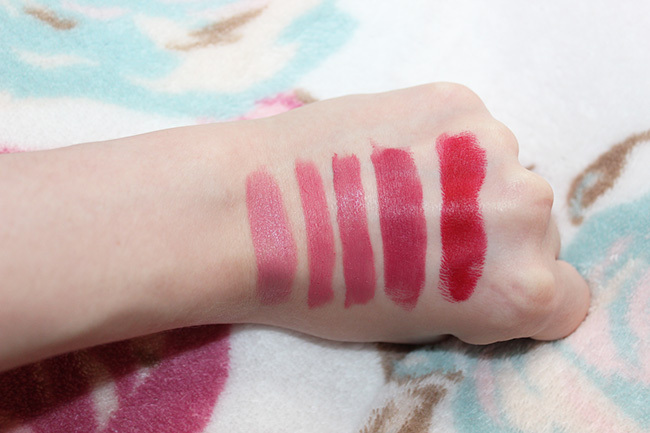 What's your favourite matte lipstick? I'm always on the look out for some more. ohh! Love the colors~ they're so pigmented! !